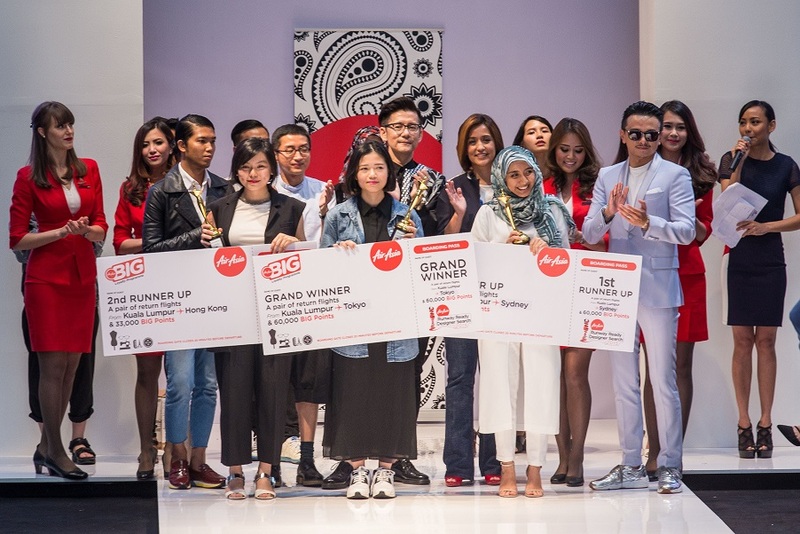 The Grand Winner of AirAsia Runway Ready Designer Search 2015 , Lee Bao En from UCSI University; 1st Runner Up Shazmin Hashim from Universiti Teknologi MARA (UiTM) and 2nd Runner Up of this designer search Ter Mei Ching from Esmod Kuala Lumpur; receiving their prizes from the panel of judges Ms Aireen Omar, CEO of AirAsia Berhad; Andrew Tan, Founder of KLFW RTW 2015; Jovian Mandagie, fashion designer; Khoon Hooi, Fashion Designer and Khairul Abidin, Editor of EH! Magazine. These pictures are of the top three winners designs... Enjoy!!! 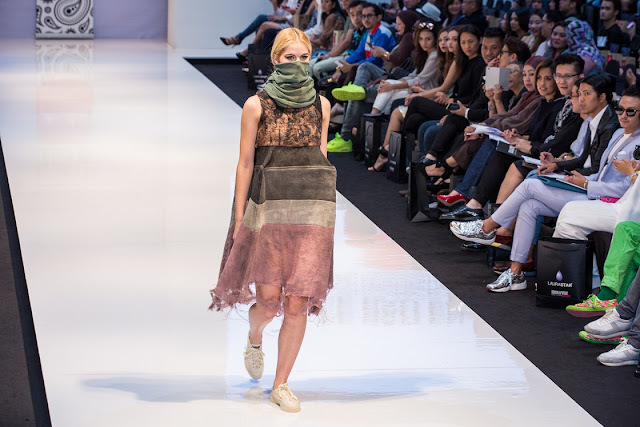 She says that her collection has been inspired by the Penang bridge. 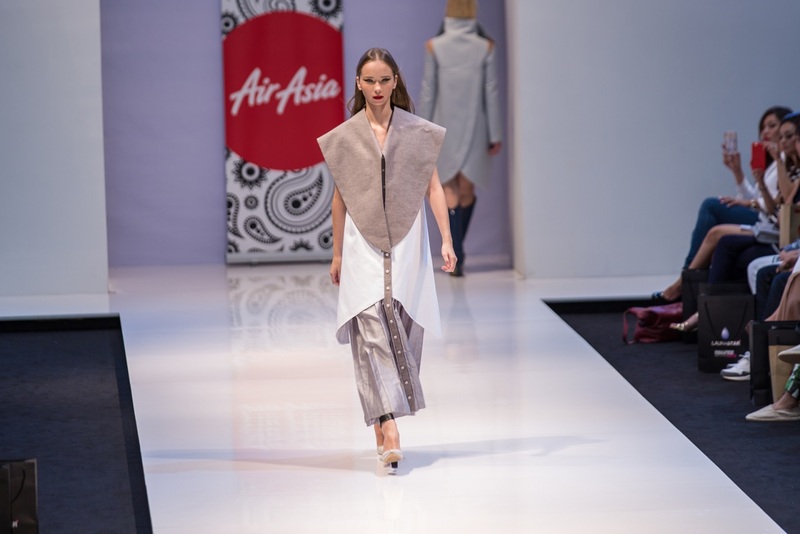 The designs below are from the 1st Runner Up winner - AirAsia Most Promising Designer, Shazmin Hashim from the Universiti Teknologi MARA. It was inspired by the nature destruction in the region, issue of deforestation. Shazmin combines her painting and artistic skills to the collection. And seriously, I love it... I would wear it personally.. The below designs are by the Grand prize winner as well as AirAsia Most Promising Designer , Lee Bao En, UCSI University .